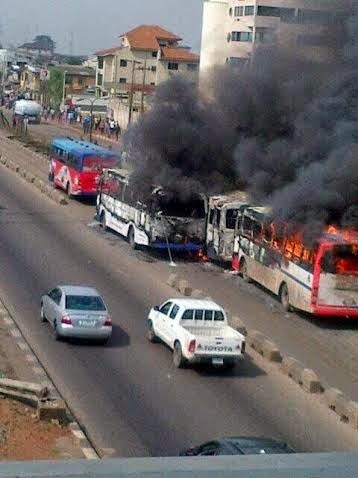 Soldiers have been on a rampage for hours now after one of their own was crushed by a BRT bus this morning. 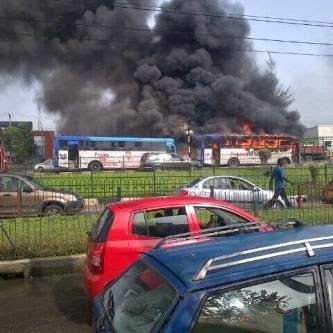 Aside from beating people up mercilessly, BRT buses have been set on fire..and this is close to a filling station. 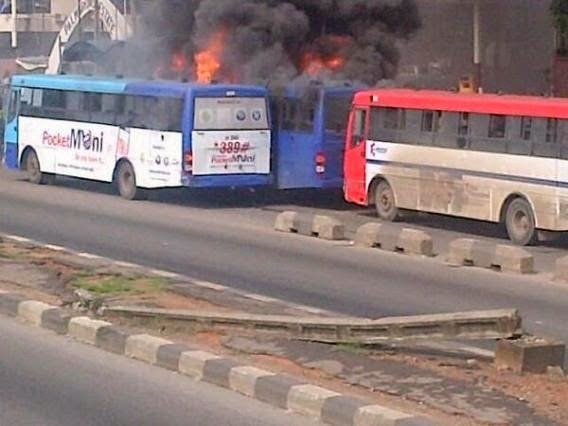 But is this how to resolve the issue? Is this not too much?